Here are the Best Paper Flower Tutorials I have come across in my search for paper flower crafting. I recently had the opportunity to create a paper flower rose using crepe paper aboard a cruise ship. The cruise I went on had a day at sea meaning that for the entire day we were in the middle of the ocean sailing towards Cozumel. During the day, there were several activities you could do on the cruise ship. And of course, you can bet I sought out all the things that might even be remotely crafty! One of the activities was paper flower making. I was excited to attend because I had never really made any paper flower before. Once I completed the paper flower rose I was quite impressed with how easy the process was and wanted to do more. So I went to Pinterest seeking paper flower tutorials. I knew of a few good ones out there already, however, at the time I wasn’t looking to create paper flowers. Now that I have actually created my first paper flower I see that there is a need or desire for paper flowers over other flowers. I do not have a green thumb by any means. In fact, household plants have never really lasted or made it a month in my home. All the plants or greenery I own are silk. However, I have always liked the idea of having a brightly colored bouquet sitting on the countertop in the kitchen. Mason jar sconces with beautiful bundles of flowers in them in pictures have always been something I would dream of having. And now, thanks to paper flowers that dream will soon be a reality. Fun Fact though is that I do already have Mason jar sconces… they are just empty. Naturally having real flowers every day or even weekly would be ideal. But, having paper flowers over silk flowers or even real flowers is even better. First of all, paper flowers are more cost-effective than silk and much easier to take care of than real ones. At least if I am the one taking care of them. You can store the paper flowers season to season. I already do this with silk flowers for one large vase in my home. I will never know why I didn’t think this could apply to other areas in my home until now. And a bundle of paper flowers in a cute vase or box would also make a great gift! Once I realized this, I set out to learn more about paper flower making. Funny how just one-afternoon activity can spark a whole new realm of crafting! 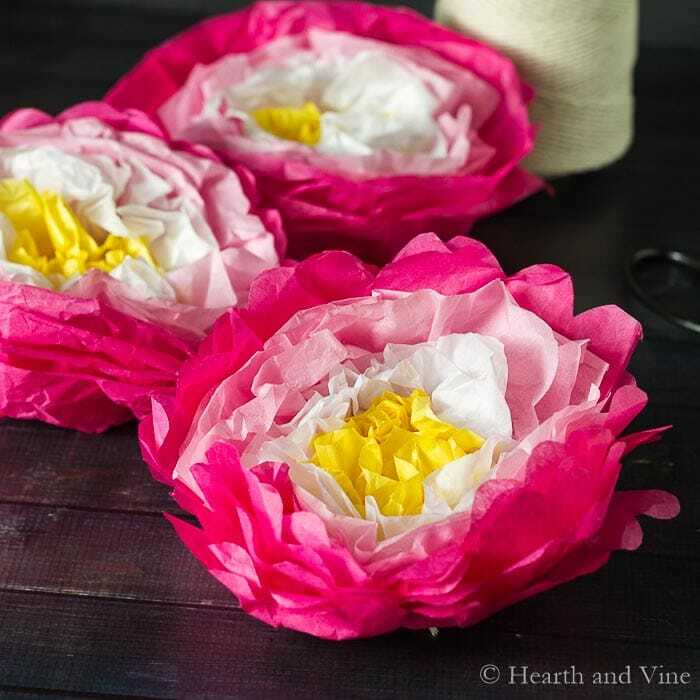 Today I am sharing all of the Best Paper Flower Tutorials I have found. I rounded up about 10 tutorials out of about 40 that I came across. First up is one of my blog friends Jennifer Maker. We met at EBA live this past fall. She is a fellow crafter and inspiration in the blogging world. 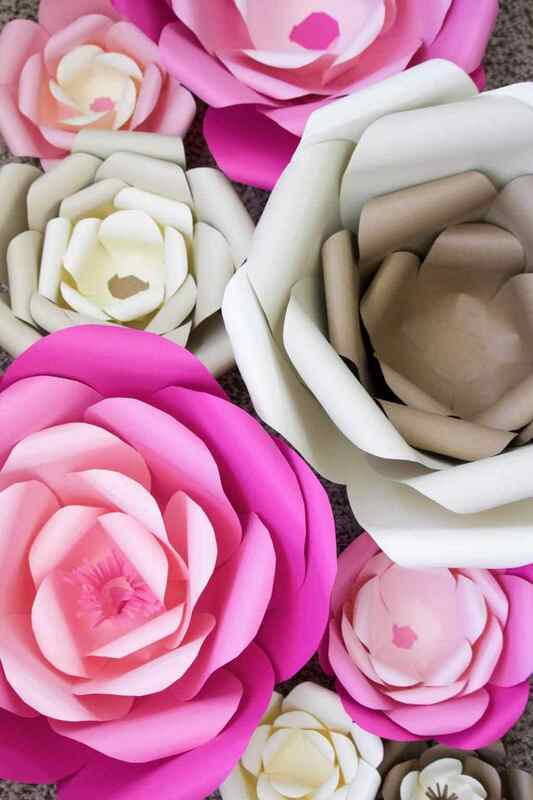 Jennifer has multiple paper flower making tutorials on her blog. 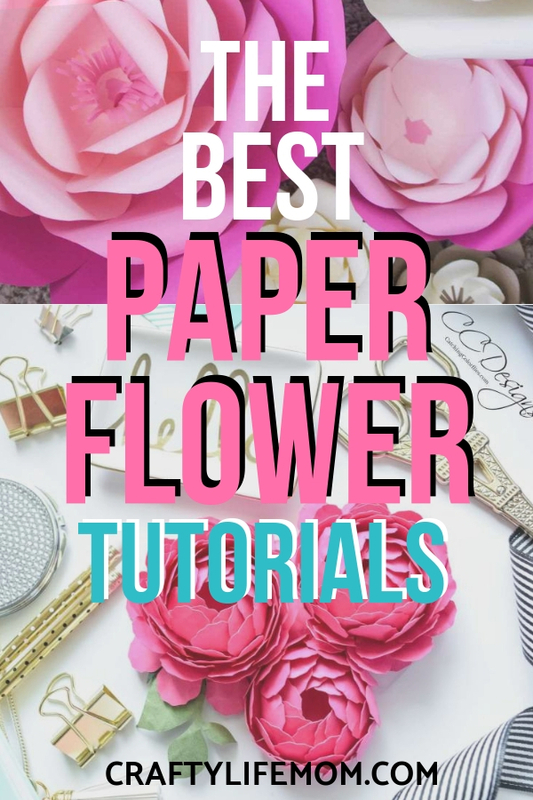 Here you will find several of her better paper flower tutorials. 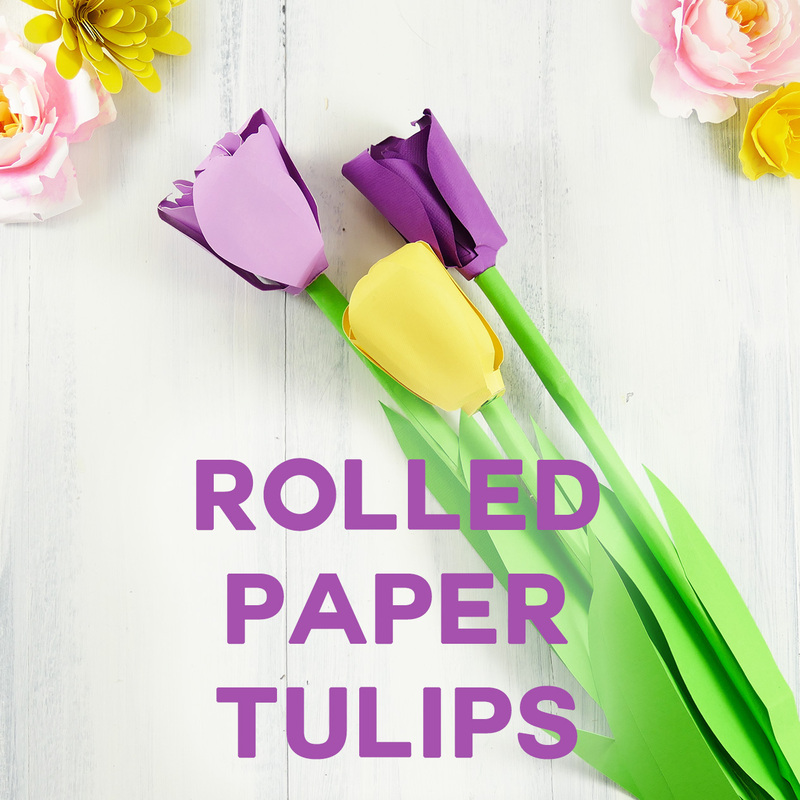 One of my favorites is the rolled paper tulips. These look life-like. And are close to regular size when it comes to making realistic flower bouquets. She offers the SVG cut files for these paper flowers along with some others on her blog. Another paper flower making queen is Abbi from Abbi Kirsten Collections. She has paper flowers she creates that are drool-worthy. Beautiful creations and easy to follow paper flower tutorials. Her Paper Flower Template tutorial is amazing. 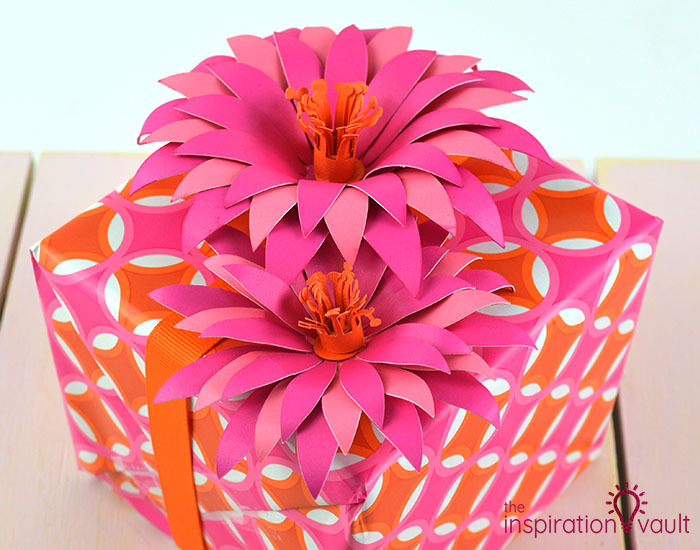 You can create a beautiful paper flower bouquet using her templates. Another way you can use paper flowers is by turning them into a wreath. 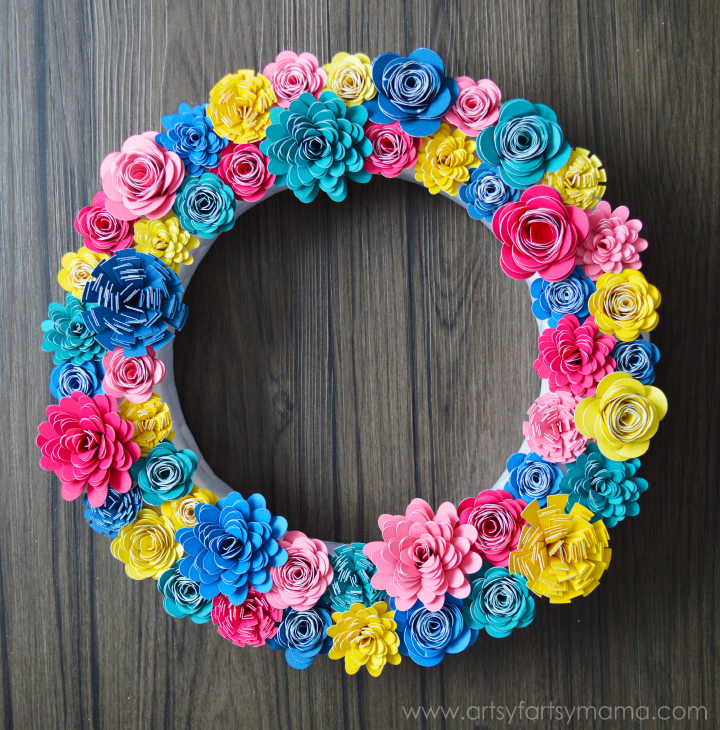 Linda from Artsy Fartsy Mama shares a beautiful tutorial using paper flowers to create a wreath. I just love the bright colors. 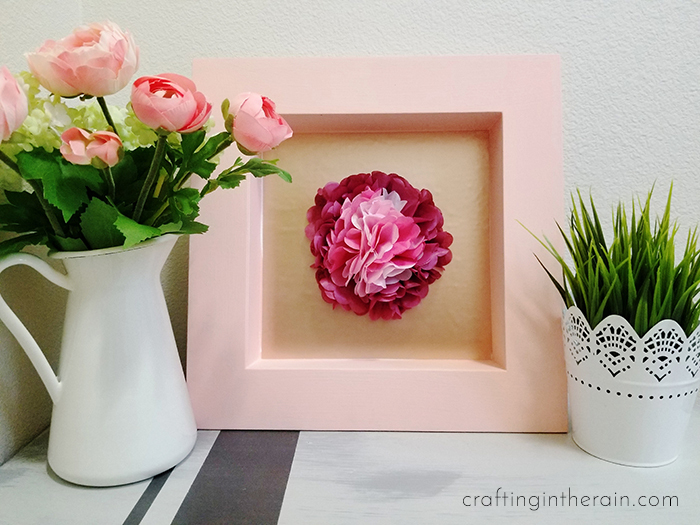 I will certainly be giving this DIY paper flower tutorial a try. If you are looking to create large paper flowers then Stacey has a pretty easy DIY paper flower tutorial on how to make gorgeous paper flowers. Just look at the bright pink shades of color. With Spring on the horizon, I can see these in my future. You can also create large backdrops for photo opportunities using large paper flowers. I think they add so much to space or party. Nikki shares her paper flower tutorial on creating a white paper flower backdrop for less than $20. This is amazing since backdrops for parties go well into the hundreds of dollars for something even remotely close to this. To create one yourself would awesome. She also shares the inspiration from Chanel’s Spring Collection for this backdrop. I also foresee a future craft business opportunity for creating these for others. This would opt for a nice profit for even small parties. Patti shares a DIY tissue paper tutorial that is more in line with creating festive paper flowers for a fun festive type of party. Stephanie also shares a tissue paper flower she cut using the Cricut. I love this tutorial because it makes it fairly easy to create and she provides the cut files. Another way to use and create paper flowers is to give them as gifts. You do not have to use just tissue paper, cardstock or regular paper either. 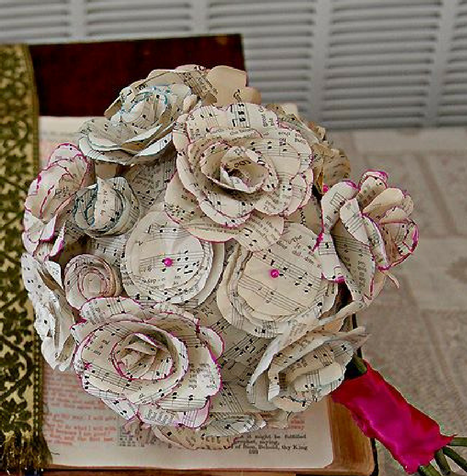 For instance, Sammie created this beautiful bouquet using the pages from a hymnal. 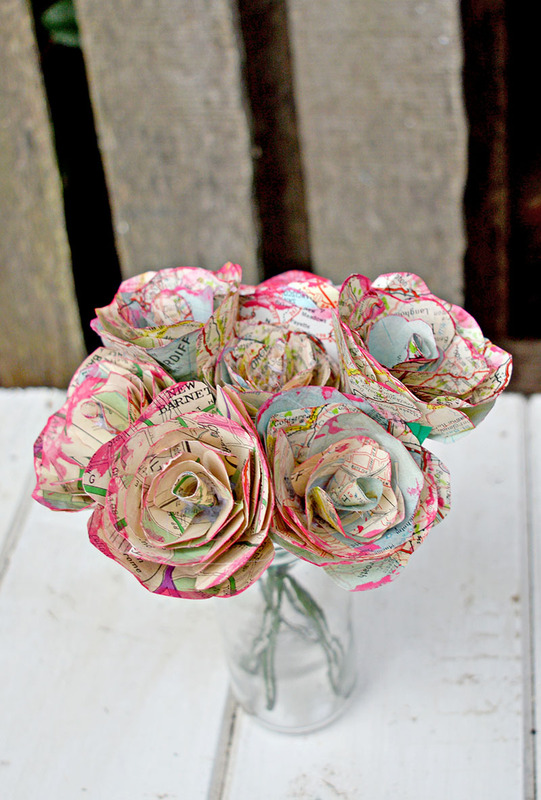 And, one of my favorite all-time paper flower tutorials is Claire’s beautiful map paper roses. I have actually had this tutorial saved for a long time in Pinterest under one of my crafting boards just because they are so beautiful. She added a little bit of pink coloring to the edges and it just makes them even more amazing. And lastly, a beautiful paper flower topper for a box! Marie from the Inspiration Vault shares her tutorial on how to create a beautiful fun paper flower to use when wrapping up a special gift. I love this idea because if your gift wrapping is lacking a little lustre, a small paper flower can certainly dress it up. So what do you think? 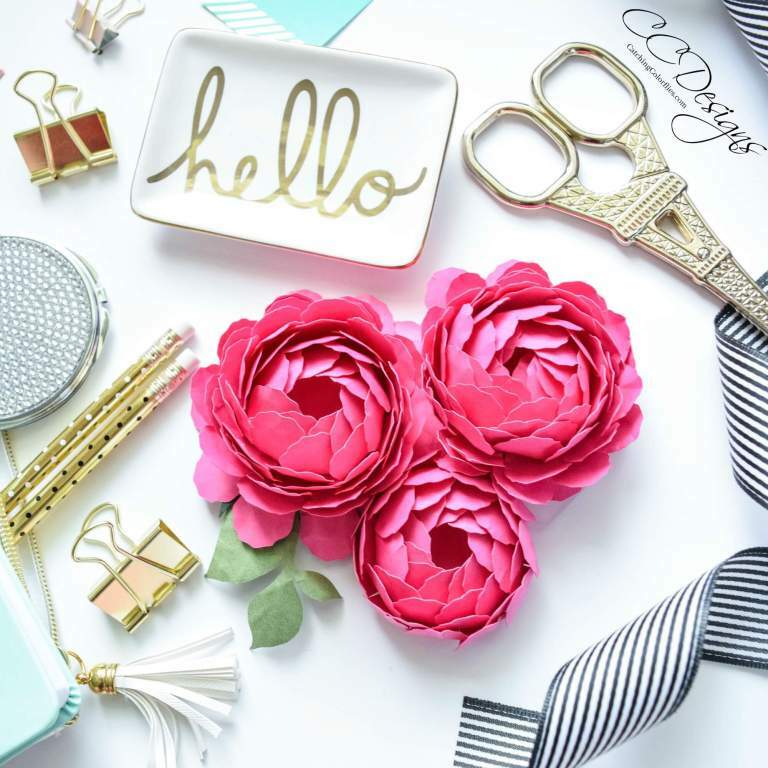 Are you ready to get to paper crafting flowers using these tutorials? I will be sharing my paper flower tutorial soon. Save This for later – Click the picture to Pin this to your favorite Pinterest Crafting Board! 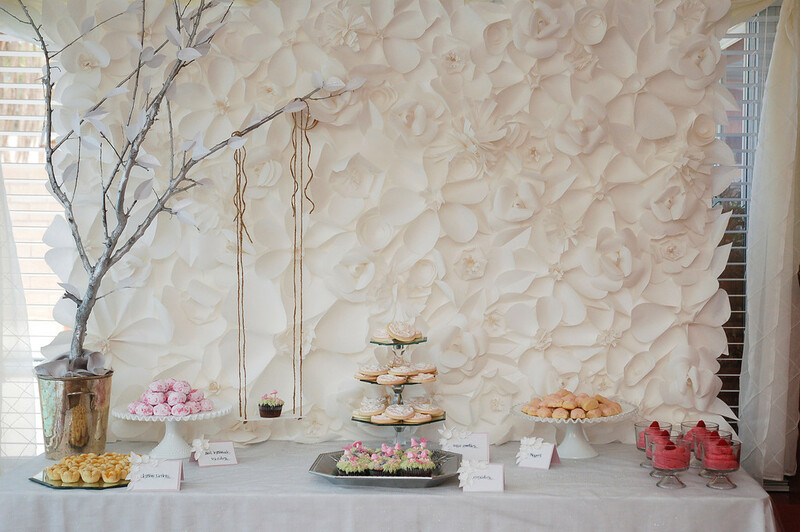 That white paper flower wall is stunning! Thank you for including my map roses in your great round up. I love those roses!!! They are so beautiful.